AKIPRESS.COM - Saudi Arabia halted new trade and investment dealings with Canada and suspended diplomatic ties in a dramatic escalation of a dispute over the kingdom’s arrest of a women’s rights activist, Bloombergreported. The kingdom recalled its ambassador to Ottawa and ordered the Canadian envoy to Riyadh to leave within 24 hours, according to a foreign ministry statement cited by the Saudi Press Agency. The loonie weakened as much as 0.3 percent to 1.3019 per U.S. dollar in early trading. 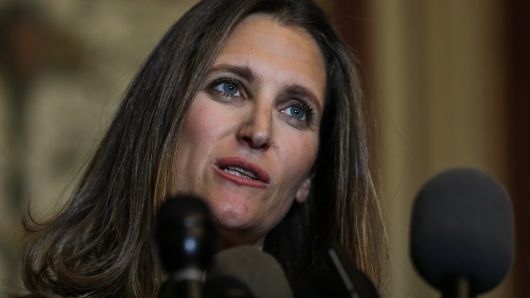 The Saudi foreign ministry cited remarks last week by Canadian Foreign Minister Chrystia Freeland and the Canadian embassy in Riyadh, criticizing Saudi Arabia’s arrests of women’s rights activists including Samar Badawi. She is a Canadian citizen whose brother Raif Badawi, a blogger who was critical of the Saudi government, was already in jail in the kingdom.